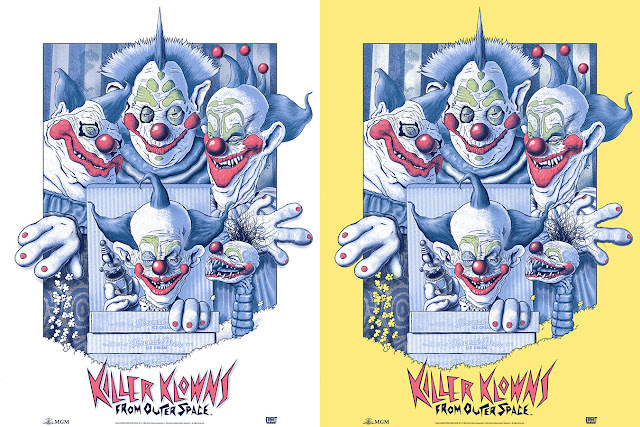 In 1988, Killer Klowns from Outer Space invaded the earth. 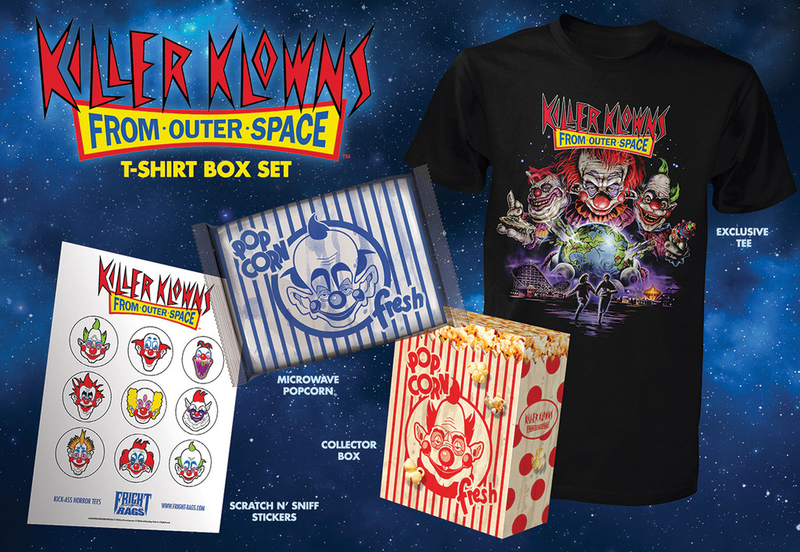 Today, Fright-Rags is unwrapping the Chiodo brothers' cult classic from its cotton candy cocoon for a collection of new goodies. 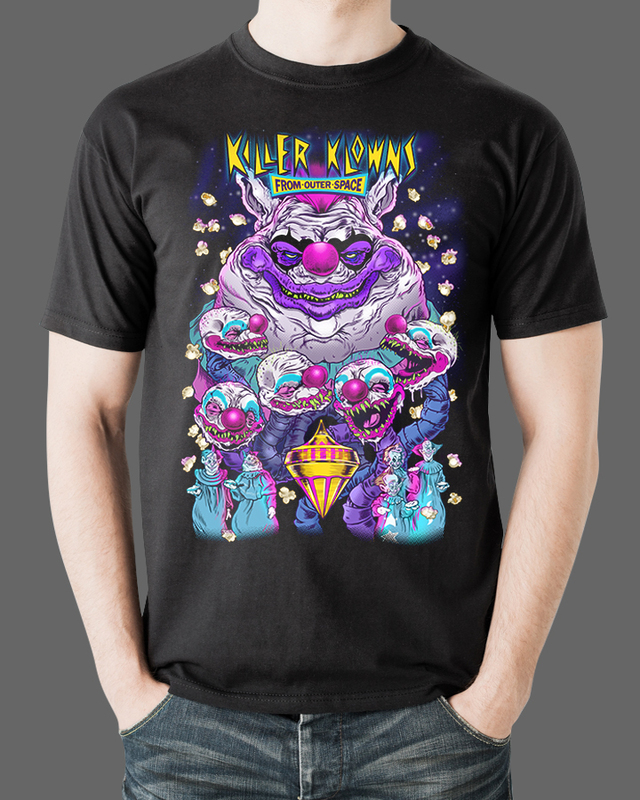 The Killer Klowns box set contains a T-shirt designed by Justin Osbourn, Killer Klowns microwave popcorn, and a sheet of cotton candy-scented scratch 'n sniff stickers, all packaged in a collector's box that looks like a bag of fresh popcorn. 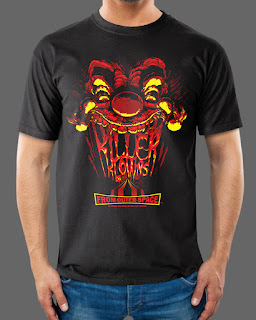 The set is limited to 500 units. 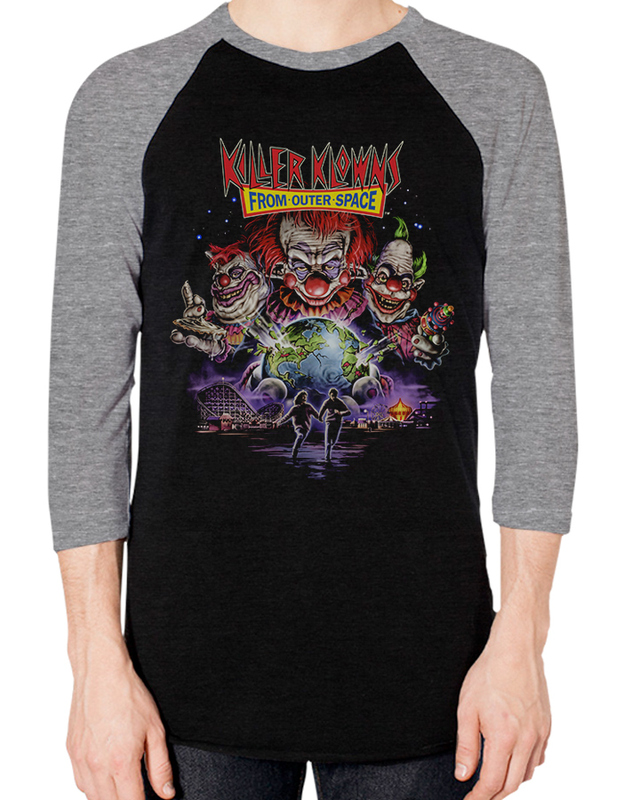 Although Osbourn's tee is exclusive to the box set, you can get the design on a baseball tee separately. Colorful and crazy shirts designed by Abrar Ajmal, Godmachine, Joshua Budich, and Scarecrowoven are available individually as well. The Killer Klowns collection also includes an 18x24 screen-printed poster with artwork by Andrew Swainson. The standard version is limited to 150, while the "popcorn" variant is limited to 50. 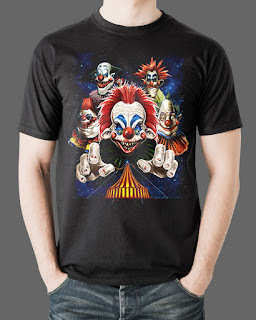 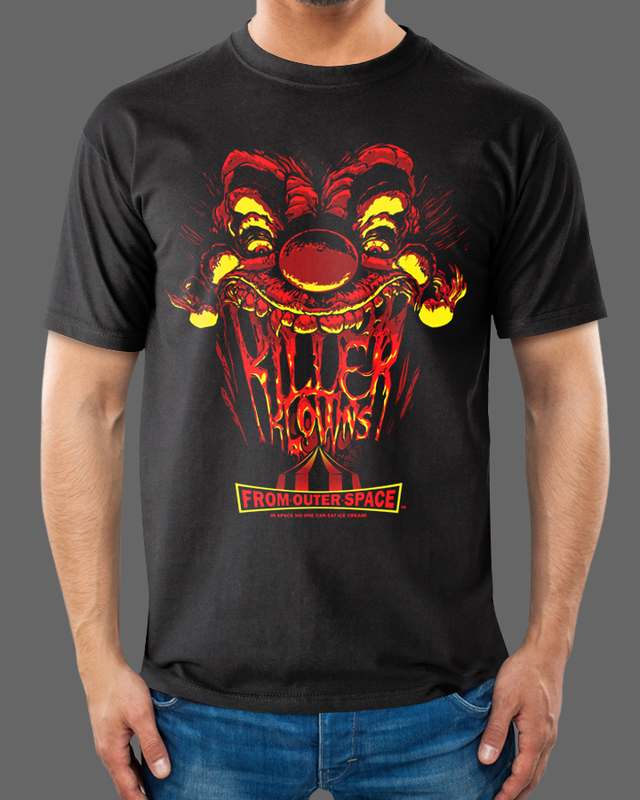 Drive your ice cream truck over to Fright-Rags.com now to secure your Killer Kowns from Outer Space gear. 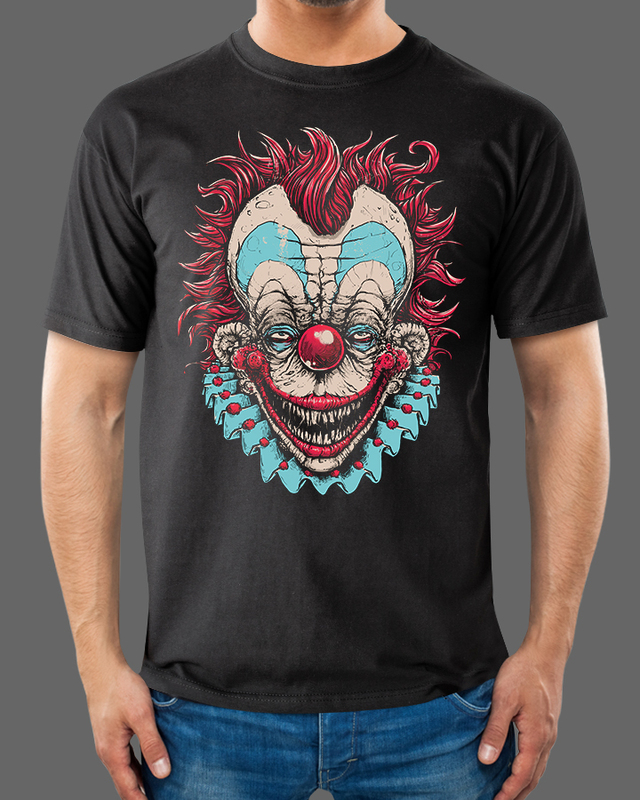 All items are in stock and ready to ship, but they may sell out early due to their limited nature. That's not the only trick Fright-Rags has up its sleeve. This Friday, May 13th, the company will have a special "Midnight Madness" shirt available for only 24 hours.